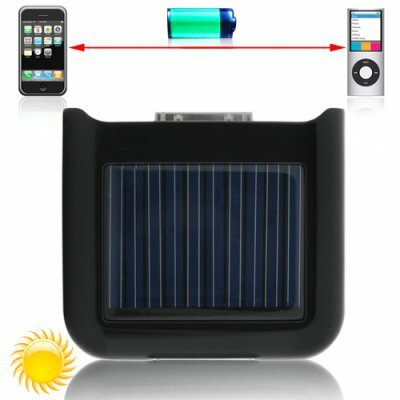 Successfully Added Ultra Compact iPhone and iPod Portable Solar Battery Charger to your Shopping Cart. This ultra compact iPhone and iPod charger comes designed with the same aesthetics as an iPhone & iPod. This allows your iPhone to slide perfectly into the solar charger and seem as one with the solar iPhone and iPod battery charger. This solar powered iPhone and iPod portable battery charger is 100% eco friendly and can be charged anywhere in the world. Now you can play games or go online using your Wi-Fi connection and never have to worry about your battery power level anymore. This solar powered portable iPhone & iPod battery charger is the most convenient and easy way to charge your iPhone or iPod on the go. Whether on holiday or a business trip even down at the beach, or excavating on an archaeology trip in the desert, you will still be able to charge your iPhone & iPod. This solar iPhone and iPod battery charger can provide you with 1 full charge, although this is a solar iPhone and iPod battery charger, the charging limits are endless. You can even charge this portable iPhone and iPod battery charger while your iPhone or iPod is connected to it, essentially, hitting 2 birds with one stone. Awesome! How can I buy one? Easy, the S16 iPhone & iPod portable solar battery charger is in stock and available at a factory direct wholesale price. Not only does this cool iPhone and iPod accessory save you from getting frustrated, it can also turn you a handsome profit by reselling this awesome gadget on your internet store or eBay online shop. Click "Add to Cart" now and we'll express ship you a sample to see for yourself how incredible this life saver truly is. The CVPP-S16 is available from your number one source of factory direct wholesale electronics, Chinavasion. Compatible, for all iPhone and iPod models, except the iPod shuffle. Yes, this portable iPhone and iPod battery charger, can be charged, either through sunshine/daylight, wall adapter or a USB connection to your notebook. How long does it take to charge the portable iPhone charger?